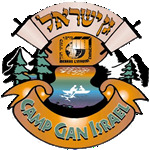 The Gan Israel registration system is powered by Ultra Camp. Click here and you will be directed to our registration page. We are sure that you will easily familiarize yourself with the system and enjoy all of its benefits. Please take a minute to read these helpful pointers about our new system before you register. As soon as you are redirected, you will be prompted to create an account. Once your account is created the basic information will be stored in the system and you will simply need to add children to your account. The information will be stored in the system for future years. Once your children who are attending camp are added to your account you can go to the reservations page and sign them up for camp. The system will automatically calculate the price based on your selection. There is a required health form for each child. We recommend that you fill it out with the registration, but you do have the option of logging back into your account and doing it at a later time. Health forms must be completed by June 20. Please note that after you have completed registration, you can always log back into your account to schedule your own payments. Click here and you will be redirected to the registration page.